The Hérault department is deploying drones to guard against the growing problem of fly tipping and to protect the biodiversity of the region, with fines of up to €75,000 possible for offenders. Land and sea protection agency, La Direction Départementale des Territoires et de la Mer (DDTM) has enlisted the flying drones to monitor areas at risk of fly tipping, including roadsides and open fields. The region is seeking to combat the growing problem of people illegally dumping building materials, rubble; old armchairs, mattresses and other furniture; washing machines and other household waste in otherwise unspoiled or wild areas. Police in the area have struggled to address the problem, given that they cannot personally monitor every single area, nor install CCTV across all large regions of ground. 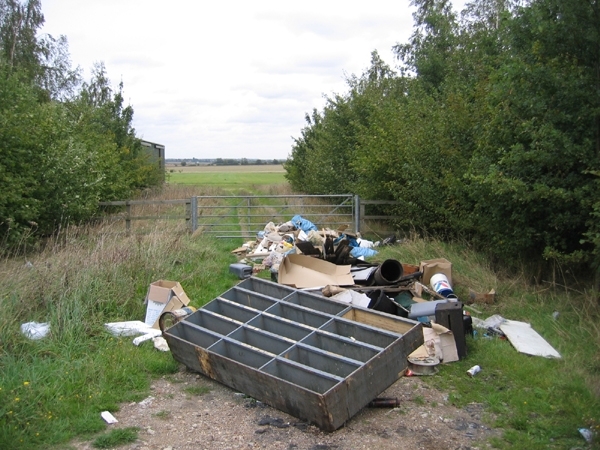 Not only is the offence illegal, it also create eyesores, and risks damaging the environment as chemicals and heavy objects can cause a negative impact on the surrounding earth, flora, and fauna. This is especially pertinent in the Hérault, which has been dubbed the third-most biodiverse department in France. Now, two drones will patrol the areas using video surveillance, and are likely to have a much higher success rate when it comes to catching offenders red-handed. Fines of up to €75 will be enforced for a single rubbish bin, rising to €1,500 for anyone dumping rubbish from a vehicle. Anyone found to be dumping professional or business-related rubbish (such as building materials) could be fined as much as €75,000 and risks up to two years in jail. Vincent Tarbouriech, from the nature organisation L'Office National Chasse et Nature Sauvage, said: "It is not always easy to catch people red-handed. We can find clues in the rubbish, and once people are found we then open a judicial procedure." A statement from the DDTM said: "The DDTM has just acquired two drones, to travel more quickly on difficult-to-access ground such as ravines. Drones are good tracking tools, but behind them there is a team of trained agents."